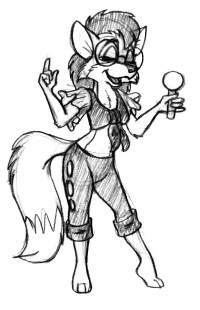 Greetings, all! I hope you all had a Happy Holiday season. This time around I'm sharing with you a label I created for a batch of hard cider some friends and I had brewed up at a local "do it yourself" brewery (it was made for a Solstice gathering we later attended). 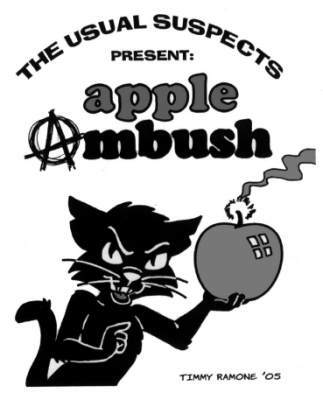 Apple Ambush -- the drink preferred by anarchists everywhere! 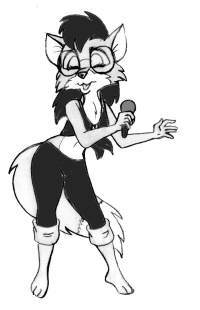 Our "Page Two" girls this time include a sketch inspired by a very scary dream, and two drawings of the vixen, Tina, auditioning for lead singer of The Animal Kingdom (their former lead, Jan, has since retired with her hubby, Dan, to a communal farm in the Northeast).